December 12-14 in Moscow the International exhibition and forum ECOTECH’17 will sum up the Year of Ecology in Russia. 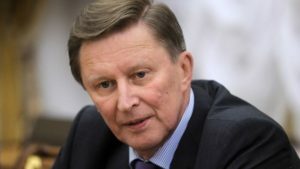 “The Year of Ecology in Russia has given an new impetus to the work the state, society and business are doing to reduce negative enviromental impact, eliminate consequences of human economic activity and restore unique sites and ecosystems”, – said Special Presidential Representative for Environmental Protection, Ecology and Transport Sergey Ivanov. “The national economy’s systematic transition to the best available technologies is our top priority. We are talking about introducing innovative components into production process, we are talking about large-scale re-equipment of enterprises in order to increase significantly their profitability and drastically reduce human impact on the environment”. Within the framework of the forum on December 13 at 11:00 the MARINET session “Ecotechnologies for the maritime industry” will present the developments of MARINET participants and foreign partners. The participants will present a number of new technological solutions in the field of environmental monitoring and clean energy. Among the planned reports are projects based on Earth remote sensing, biomonitoring, unmanned monitoring of water areas, renewable energy sources and fuel cells.